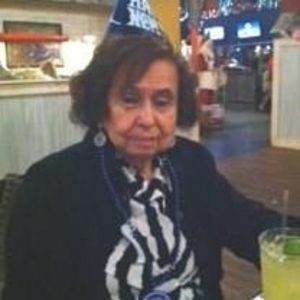 Betty Ramirez proceeded in death by her son Johnny Jasso and is survived by her sister Irene Moyer of Baltimore, Ohio and her brother Tom Ramirez of Toledo Ohio. She is also survived by her 6 children Irene Sandoval of San Benito, TX, Henry Jasso of Apopka, FL, Theresa Rosillio of Apopka, FL, Rosario Jaso of Apopka, FL, Alex Jasso of Grimsley, TN and Suzanne Bogan of Umatilla, FL. She is also survived by 20 grandchildren, 51 great-grandchildren and 12 great-great-grandchildren. Arrangements under the direction of Baldwin Fairchild Funeral Home, APOPKA, FL.